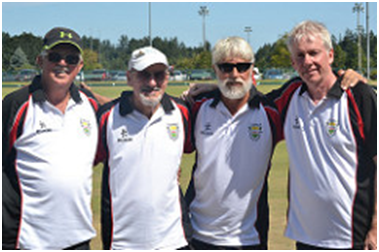 The club has a rich history of bowlers who have won provincial and Canadian championship titles, as well as bowlers who have arrived in Canada from other countries, including South Africa, England, Scotland, Hong Kong and Israel. Indeed, ladies’ teams won the provincial and national gold medals in 2016 and 2017, and three of the current male members were on the men’s team that won the provincial gold and national silver medals in 2017. The club hosts competitive tournaments during the summer and there are also games during the week where bowlers at all levels can compete in teams. Beyond the immediate club scene, there are competitive tournaments on literally every day of the week during the summer months of June through August at many clubs throughout Ontario. For those interested in reaching the national competitions, district and provincial tournaments are played during June and July with the winners competing in August this year (2018) in Regina, Saskatchewan. The existing coaching staff have over 60 years of experience between them and have medaled at both provincial and national championships in Canada and Israel. If you are an experienced bowler and looking for insight or further coaching to try and improve ‘your edge’, then we will be happy to work with you. Ryan Bester, Canada’s most-recognised player in international play. 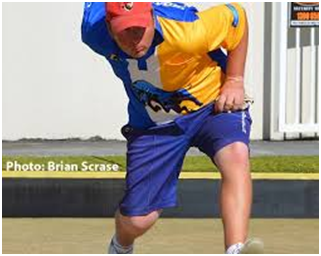 Ryan, originally from Hanover, Ontario, moved to Australia in order to advance his experience in world bowls. He is now in the top 15 players in Australia and medaled at the 2014 Commonwealth Games and 2016 World Championships. Ontario men's fours team that won the silver medal at the 2017 Canadian national championships in Victoria, BC. Three of the players are members at the Willowdale club and David, right, is one of the current coaches.